At the moment there are two distinct styles in FMX, it´s a battle between perfection and innovation. We saw that on muliple stops of the 2014 Red Bull X-Fighters World Tour when Tom Pages took his chances with his high risk tricks and lost it all before even seeing the final. On the other hand Levi Sherwood demonstrated that perfection has also it´s values to impress the fans and judges to take victories home. The question right now is: Where is FMX going? Will the sport soon be dominated by riders, who bring each trick to the absolute physical perfection or is innovation key to win. Check the clip and see what riders and judges think about that topic going into the Red Bull X-Fighters South Africa 2015. 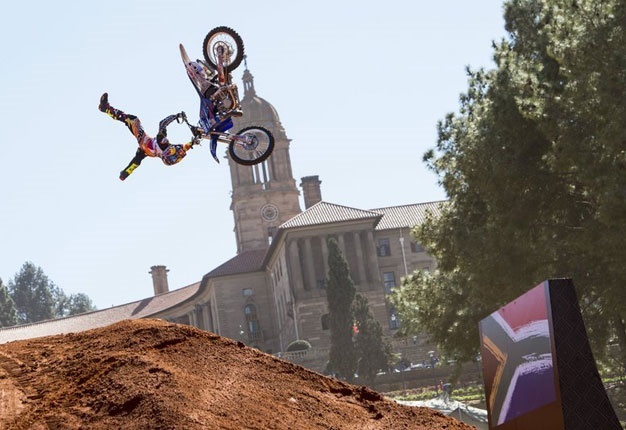 Get your tickets now for Red Bull X-Fighters live at The Union Buildings in Pretoria on 12th September 2015! Tickets available on Computicket here.